Having a budget allows you to manage your business while completing projects before deadline as well. It is actually a financial plan for your company for the future and if you are able to formulate flexible budget it can let your business enjoy better profitability as well. Check project portfolio for expense tracking. Proper budget in a business actually show the hidden aspects of the business which are otherwise left unexplored. This is because the sources from where the major money is earned and the products which are most profitable is shown in clearly prepared budget. For success of any project small or bigger one, budgeting is the most vital part and if it is not formulated accurately all the hard working, plans and management goes into vain. 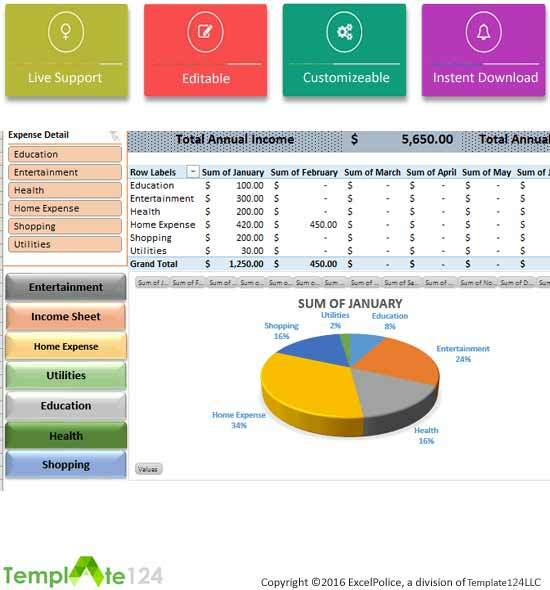 With availability of daily expense budget spreadsheet template excel, you are able to create any form of budget either for the personal use or for the business easily! Moreover it can be shared online on multiple devices as well! Column 1: For the income part of the template the first column actually shows the income made by business. The heading is added as operating income. Start entering the categories of operating income for your company. Column 2: This column shows the budget income for each of the category mentioned in column 1. Enter the budgeted amounts in this column. The budgeted amount is dependent on multiple factors. Column3: It is time to fill the actual income here for all of the operating income categories mentioned in column 1. Start entering the actually incomes made here. Column 4: It is time to actually become aware if the certain category of operating income has made the income over or under the budget. If the income made is less than the budgeted the amount is shown in brackets indicating negativity. Column 1: The expenses part of the template shows the types of expenses in the business. The column may consists of “accounting & legal”, “advertising”, “depreciation”, “dues & subscriptions”, “insurance”, “interest expense”, “maintenance”, “improvement” or “others”. You can add or remove any of the expense in this column. Column 2 & 3: The column 2 and 3 of the expense part shows the budgeted and actual expenses of all of the expenses listed in column 1. 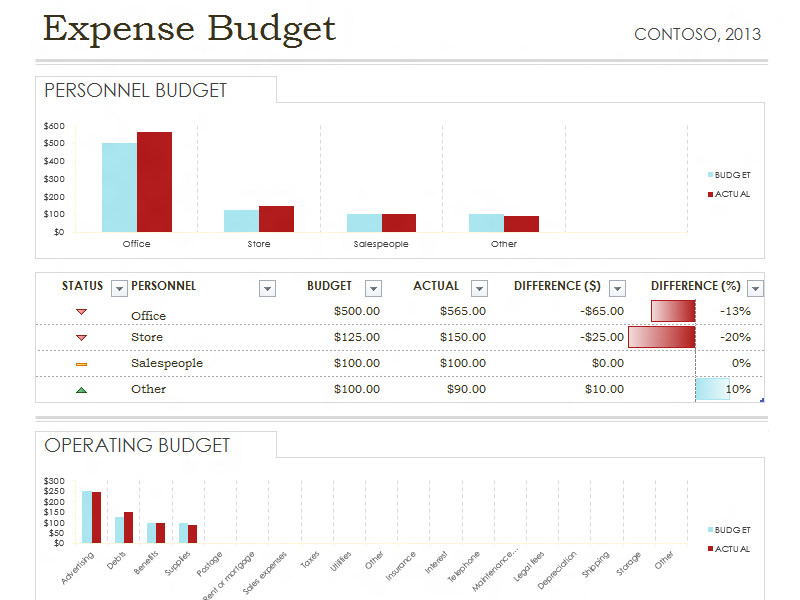 Start entering the budget amounts in column 2 and add the actual amount for thee expense in column 3. Column 4: The under/over expense is calculated by template automatically. Know each expense and the amount accurately with this template.